It's been around for years- but Nutella, the hazelnut chocolate spread we all wanted to find in our lunchbox as a kid- is going through something of a resurgence. Cafes, coffee shops and restaurants across Perth have added Nutella inspired items to their menus in recent months. As a kids' snack, it was often served in Gladwrap but these days it is more likely to be presented in a mason jar or brown paper bag. The Nutella craze has only grown since Sydney-siders went nuts for it, back in August 2015. 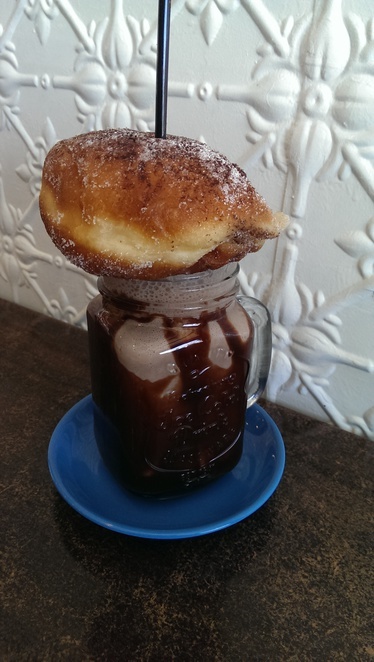 They lined up in droves at a café selling Tella Bellas- a Nutella flavoured milkshake- topped with a Nutella filled doughnut with a straw through it. That particular café had their supplies of the spread depleted when demand peaked with almost 1500 of the masterpieces sold in just two days. It didn't take long for the Nutella wave to hit the west coast. Brownies, cheesecakes, and crepes are just some of the Nutella flavoured dishes found at Perth eateries. Northbridge hole-in the-wall café Booespresso sells Nutella hot chocolates. The warm drink has that familiar smooth hazelnut taste without being too overpoweringly sweet. West Leederville café Hylin has brought together two food trends, filling their cronuts; glazed pastries which are a cross between a doughnut and a croissant- with Nutella. Gourmands will need to head to North Perth if they want to try Perth's version of the Tella Bella. Dolcetto Patisserie and Café serves the Insta-friendly drink/dessert combo.